Seven Seas properties has taken down the artist renditions on this page. PCSD seemed not to know the extent of their development. No building should commence until Seven Seas has resubmitted the new exact plans. 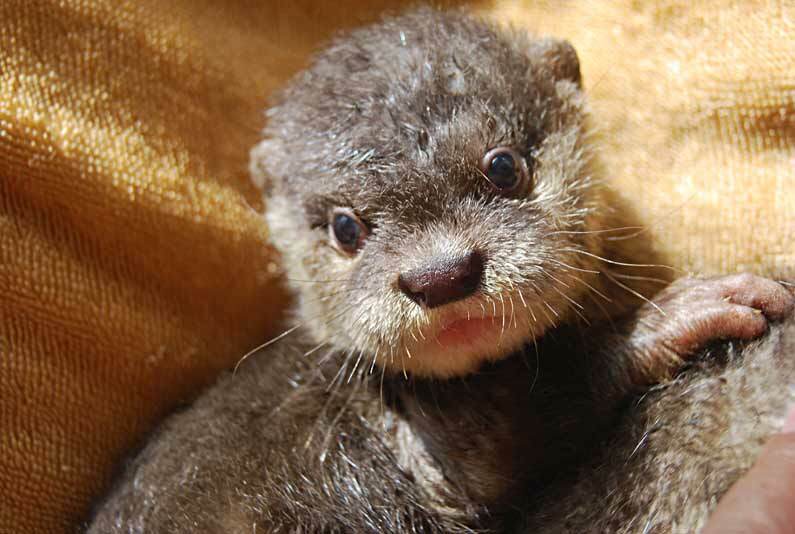 An orphaned otter from Turtle bay. 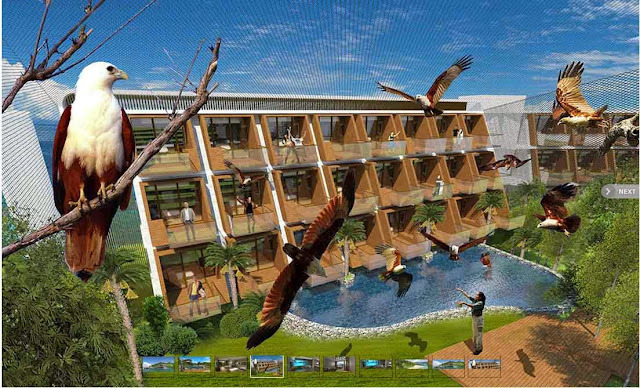 THIS PROJECT HAS ALREADY BEEN GIVEN PERMITS BY Palawan Council for Sustainable Development (PCSD) ! WITH NO environmental impact study. It was taken only to the city and the BARANGAY! 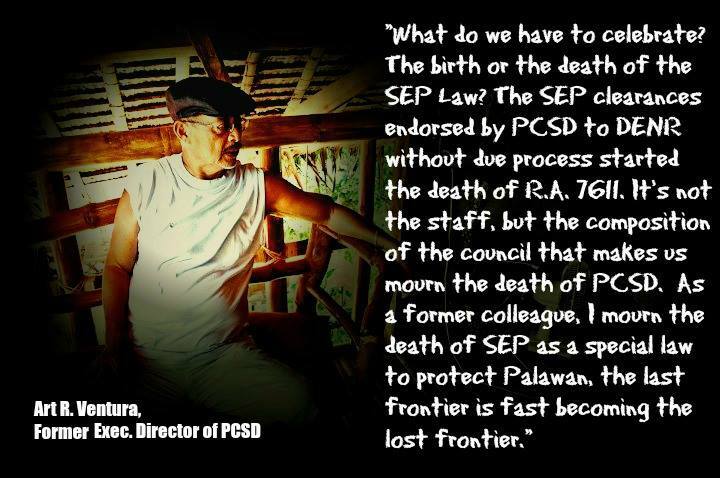 Since when are Barangay officials qualified to make such decicions of such great consequence? Otters and other species live in this protected cove called Turtle bay.The 7 Seas corporation want to put in manta rays and captive imported dolphins!! The water is brackish from the fresh water estuaries flowing into the bay, I can't imagine the creatures will thrive in there. The corals are already a mess from cyanide poisoning; it used to be a common way to harvest fish. Oceanarium - (do we really want to encourage the proliferation of the illegal live fish trade by featuring the native fish taken from our very own environment. Witness the best of marine life with an awesome display of manta rays, whale sharks, dugongs and sun fishes. (There are no more dugongs in Turtle Bay. 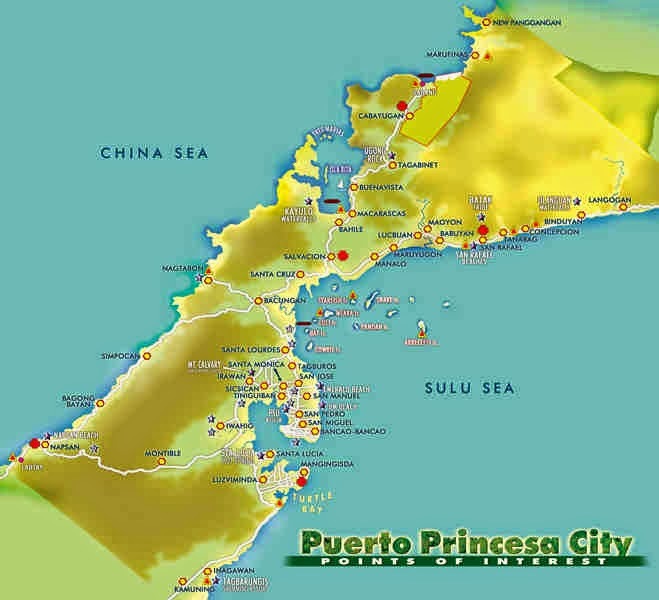 I am in that bay many times a week in our native banca and there are no dugongs there. Where will they get the dugongs? Sun fishes? Are you kidding me? The brackish water in the bay will kill them and it's certainly not deep enough, nor food naturally food occurring for it. WHALE SHARKS? (Now they are hallucinating. Talk about hell on earth for any of the aforementioned sea creatures forced to live in that bay.) There is NO KRILL in this bay to feed them...the water is brackish..they will all die. In order to view whale sharks this deep from a room, Turtle bay aka Kamia Bay will have to be deeply dredged...and the water is never this clear..it is a brackish bay. It is totally unsustainable as there are no krill for the CAPTIVE whale sharks to eat. Mangrove Exhibit - (No issues there) Forest mangroves are one of the most productive and complex ecosystems in the world. Known to have originated from Southeast Asia, these biological marvels are home to a diverse array of flora and fauna. Feed wild birds? There is a new above them and people can touch them? Maybe take them into their rooms and smuggle them out too? Give them germs? Is this sustainable? How is keeping captive dolphins sustainable, oh ye of PCSD? Go beyond the waves and as you touch and take a dip with friendly stingrays in an engaging and cool attraction. To ply the bay In our small native banca/boat, we have to be careful when leaving the cove not to get stuck on sand bars that appear at low tide. This is the reply of Mr. Art Ventura, former Executive Director of PCSD when he was invited by one of the staff as their "former boss" to celebrate the 23rd anniversary of R.A. 7611 known as the "SEP Law", a unique law that was created supposedly for the protection of Palawan.